Age 85, Phil passed away independently and peacefully in his Louisville home on Wednesday, May 30. Born in Medford, Massachusetts on April 5, 1933, he was the son of the late Victor and Louise Duplin. He was preceded in death by his loving wife Kay (Rastetter) on November 11, 2011 after 57 years of marriage. His siblings included a younger sister Margie Imhoffer, who passed away in October, 2017, and a surviving older sister Joan Fricke. Phil passed from natural causes but his heart and spirit were broken when his beloved wife Kay passed over seven years ago. It was a true love story in every sense and they served as a beautiful example of love and lifelong commitment to each other and family. Dad is also survived by three children, Cathy Duplin Sherman of Louisville, Greg and his wife Karen Duplin of North Canton, and Doug Duplin of Louisville and seven grandchildren including Bonnie Kay Sherman, Elise, Matthew, Bradley, Connor, Andrew and Cassandra Duplin. Phil graduated from Louisville High School in 1952 where he excelled in football as a quarterback for the Leopards. He served his country in the Army as a Corporal in the 124th Armored Division, Company C, in Baumholder, Germany during the Korean War. He was a hard worker and skilled machinist at Macomber in Louisville then United Engineering in Canton where he retired after 40 years in the steel industry in 1995. 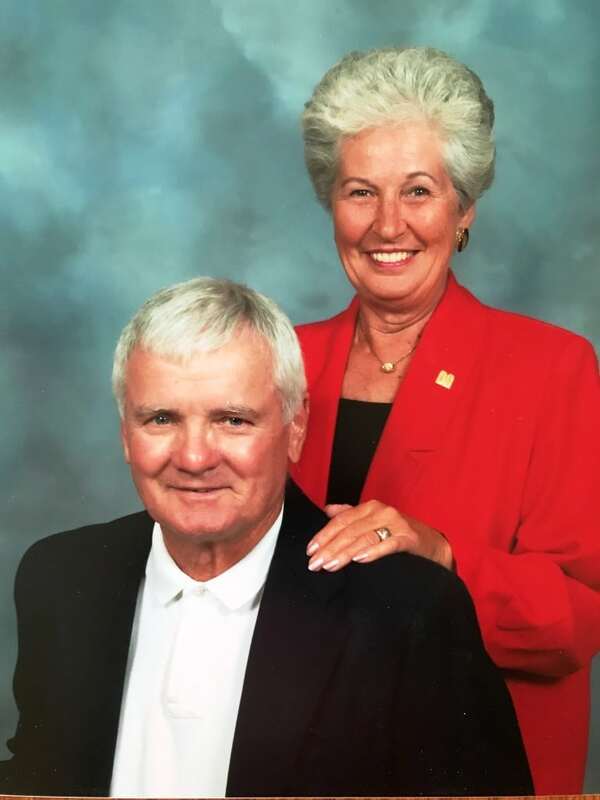 Phil and Kay enjoyed immensely wintering at their home in Port St. Lucie, Florida where they hosted friends and family visits during Spring breaks. Phil was more than an avid golfer and competed at the highest level in amateur tournaments locally and in the state with his greatest accomplishment as Champion of the Stark County Open in 1981. Phil enjoyed watching his children and grandchildren participate in sports and was legendary in the stands! Good with God, he was one of a kind and you either loved him or not (and he in return) but you could never doubt his passion, honesty, competitiveness and love for his wife, family and friends. Phil very much appreciated and received tremendous health care services and support through the Veterans Administration System in Port St. Lucie, West Palm Beach, Cleveland, and Canton led by Jacqueline Suppan, MSN, CNS and a compassionate and capable staff of nurses. In addition, he received amazing love, comfort and support from lifelong neighbor and dear family friend Bunky Pandrea. Calling hours will be on Friday, June 1st from 5-7 PM at Paquelet – Falk Funeral Home, 303 South Chapel Street in Louisville. Mass of Christian Burial will Saturday, June 2nd at 10:30 AM at St. Louis Catholic Church with con-celebrants Fr. Robert Miller and Fr. Thomas Dyer. Burial services will follow immediately at St. Louis Cemetery. In lieu of flowers, donations can be made to St. Joseph Senior Living Center or St. Thomas Aquinas High School. The Duplin family would like to express their most sincere and deepest gratitude for all the support and prayers in celebration of the life of Phil Duplin. Condolences can be shared with the family at www.paqueletfalk.com. Greg, Karen and Family; Sending our deepest condolences and prayers. He will be missed! Very glad to have met him and enjoyed his company in the STA family. Someone to look up to and model after. Proud but humble. Wise but not bragging. Always happy and counting his blessings. Patient but firm. Just enough stubbornness to make a good competitor!!! I know you grieve for your loss but his heart strings…they were pulled elsewhere. Talk to the angels and they will deliver your thoughts to him. He had several angels following him daily!!! Greg and Family, so sorry about the passing of your Dad. Now that I am living in Texas, I won’t be there for you, but know you are in my thoughts and prayers.